• Magna-peel postcards are a great marketing tool for businesses looking to promote their particular goods or services. Studies show that postcards with magnets attached are much more widely read than ordinary direct mailers. • Uncertain about your specific imprint? Contact our specialists to assist you in print ideas, including all artwork, message, etc, free of charge! 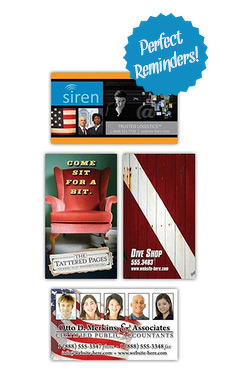 • Designed for 8.5" x 5.25" postcards and includes a 3.5" x 6" magnet glued to the surface of the card. VALUE ADDED SERVICE: Have us address from your data base and mail from our mail room at the cost of postage. First Class Rate: $.414 (typical delivery time = 1-5 days). Standard Rate: $.273 (typical delivery time = 10 days). Non-Profit Rate: $0.192 (typical delivery time = 10 days).